The Harmony Boutique Hotel pool bar in Mykonos is a perfect relaxing spot for you to unwind under the sun, enjoying one of our exceptional cocktails or a variety of light snacks, served by our friendly and experienced staff from 12:30 p.m. until late in the evening. 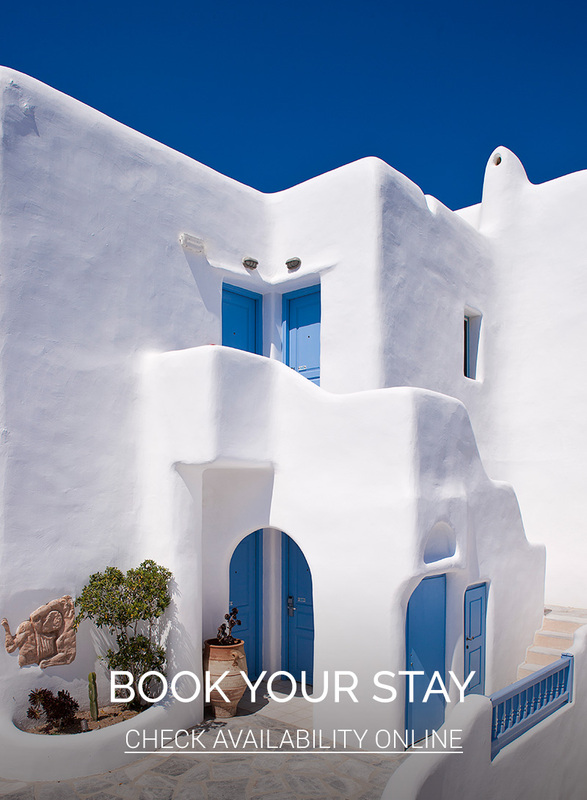 Our originally designed swimming pool, along with our soft poolside mattresses and – of course – our approximate, unobstructed view to the sea and the town, allow you to feel the energy Mykonos is renowned for. Carefully selected music creates an ideal atmosphere for socialising with our international clientele and glancing at the new arrivals on the island, as Harmony Boutique Hotel is situated just by the old port.